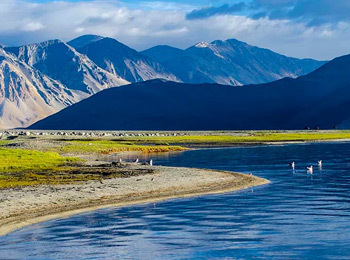 Hailed as the high altitude desert of India, Nubra Valley, is nestled towards the north east of Ladakh. The tri-armed valley is perched 3048 meters above the sea level and is termed as heaven on earth. It is necessary for a tourist to acquire an Inner line permit for entering. The Shyok River meets the Nubra River or Siachen River to form a large valley that separates the Ladakh and Karakoram Ranges. Both the rivers are the main water resources for the eastern and the western sides of the Saser sub-range of the Karakoram ranges. Tourists love to enjoy riding on the back of the Bactrian Camels while admiring the view of snow-covered mountain peaks. 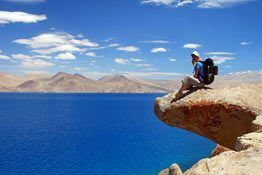 The Diskit town is the headquarters of the Nubra valley which offers almost all kinds of facilities. It has market which has a single line of shops as well as a Gompa that is located on a height above the village. The Gompa offers an excellent view to the tourists. Thick thorny shrubs cover the valley and are used by the locals as a source of fuel as well as for fencing. The villages that are situated around the valley are huge, flourishing and have thick plantations of poplar and willow. Nestled in the northern most part of Jammu and Kashmir, the Nubra is around 150 km north from Leh. The altitude of the valley is just a little less than that of the Leh. It falls somewhere between 10,000 ft that is 3,231 m at Hundar and 10,600 ft that is 3231 m at Panamik. 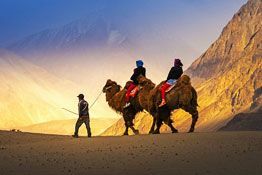 As per the climatic conditions, the best time to visit Nubra valley is during the autumn season which is between the month of July to September. One of the extremely popular prayer festivals is the Dosmoche or Desmochhey festival. It is also known as the 'Festival of the Scapegoat' which is celebrated at the Diskit Monastery. This fiesta is also celebrated in Likir, Leh, in the month of February when the Khardon peak gets covered with snow. For the celebrations, the locals gather at the Diskit Gompa which is the oldest and largest Buddhist Monastery. A huge Buddha statue is the center of attraction here and overlooks the entire valley. The masked dance performed by the Lamas dressed in a dramatic manner is a major attraction. It is a celebration of the victory of good over bad. The dance is also done to avoid any ill- fortune over the valley. Several ancient Gompas and palaces which are famous tourist attractions surround the area. The nearby villages offer wonderful opportunities to savor beautiful views of the environs while taking a stroll. Moreover, the 32 - meters high statue of Maitreya Buddha is the landmark of the valley and a famous tourist attraction too. Hunder Sand Dunes and the Panamik hot springs also steal the limelight. The very popular Siachen Glacier lies to the north of Nubra. There are several guest houses which prove to be a comfortable accommodation option. In order to reach Nubra valley, you have to pass through the Khardung La, one of the highest motorable roads in the world. Another route, (opened in 2008), crosses Wari La from Sakti, towards the east of Khardung La, which connects to the main Nubra road system via Agham and Khalsar along the Shyok River. 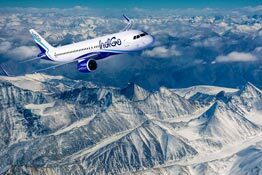 But, if you want to travel by air, then the nearest airport is in Leh.